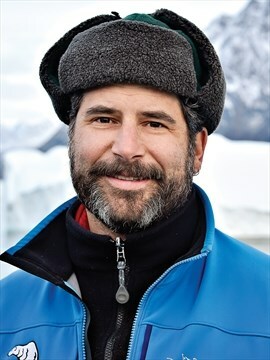 Singer-songrwiter David Newland http://www.davidnewland.com/ is veteran performer on the Ontario folk scene who also works as an expedition host and Zodiac driver throughout the Canadian Arctic, Newfoundland & Labrador, the Gulf of St. Lawrence, Iceland & Greenland. Newland recently appeared in the Discovery Channel production, Mighty Cruise Ships and wrote the theme song for the train documentary Canada’s Greatest Ride. In 2015 he was named a Fellow of the Royal Canadian Geographical Society, a distinction reflecting a lifetime of engagement with landscape and story. The Northwest Passage in Story and Song has been featured in the Kingston Whig-Standard, Ottawa Citizen, The London Free Press, CBC Radio and more.